Everyone thinks about it, especially when first going out on a boat, and virtually everyone feels a little queezy when the boat moves under their feet for the first time, just give yourself time to get your “sea legs” remember you’re not ill, its just your poor brain/balance is confused. You have to appreciate that this type of motion sickness/nausea occurs because our poor brain is getting confusing signals 🤪 from our eyes compared to the balance signals its getting from our inner ear (which stops us from falling over). 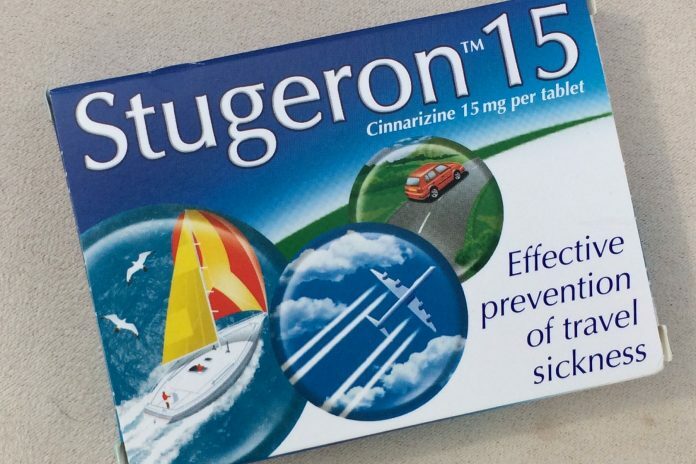 Give it time and chances are you’ll be fine, but initially to help things along there are several good seasickness remedies like Stugeron (read the label and note side effects) ginger in any form can help, crystallized or biscuits are yummy. Travel wrist bands etc could all help to get you your sea legs quicker. To start with try and stay on your feet in the cockpit and concentrate on the horizon, do not look down at the deck, your feet or you may get that swimmy feeling. Try not to go below as the motion of the boat is magnified several times down there. Try eating a light bite, often that helps too – we are all different. One of the best preventative actions/cures is to steer the boat, you’ll soon forget about nausea when steering, far to much to concentrate on. Typically within a day or so it will no longer be a problem to you. The Pacific Crossing of Ipixuna by Freyboatie. Our beginner sail training courses offer an ideal introduction to the world of sailing. 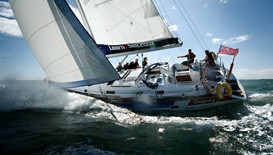 Build on your sailing experience towards becoming a fully competent skipper. Our advanved sailing courses will stretch your seamanship skills to the highest level. Learn2Sail has courses for those seeking competent crew basic sailing or Day Skipper courses, right through to gaining the Yachtmaster professional qualification. 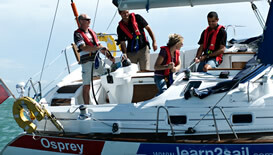 All Learn2Sail courses have RYA sailing accreditation and certification.